Nordegren and Cline split after one year of dating. This was her first serious relationship since her divorce from Woods. Nordegren admits that she lost sleep, weight, and hair after she learned of her husband’s infidelities. She also admits that she had no idea that her husband was sleeping with other women during the course of their marriage. I really wanted people to know three things right off the bat: I’m not violent; I’ve never hit him; I had no idea any of this was going on. Nordegren walks away with $100 million after her divorce to Woods, $20 million for each year of marriage. 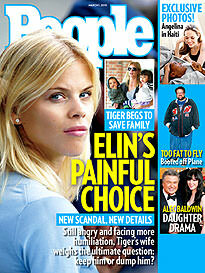 Woods originally offered Nordegren $55 million for two years or $80 million for seven years if she didn’t divorce him. 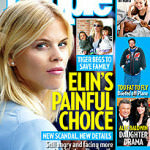 Nordegren appears on the cover of People after she is faced with her husbands infidelities. Even after Woods attended rehab for sleeping with multiple women, Nordegren finds it hard to take him back. She was livid and out for the kill when she learned of all of these women. And if these pregnancies are true, it will make her even madder, I promise you. Nordegren has separated from Woods after learning about the multiple affairs he had with 14 different women. Nordegren is now talking to a divorce lawyer regarding a divorce. Tiger Woods was in a minor car accident outside his home last night,” it read. “He was admitted, treated and released in good condition. We appreciate very much everyone’s thoughts and well wishes. It was a dream come true for both Elin and myself. I’ve been changing diapers and doing feedings. I definitely don’t sleep now. Woods and Nordegren welcome daughter Sam Alexis into the world. Both Elin and Sam are doing well and resting peacefully. We want to thank our doctors and the hospital staff for all their dedicated and hard work. This is truly a special time in our lives and we look forward to introducing Sam to our family and friends over the next few weeks. We thank everyone for their well wishes and continued respect of our privacy. Woods announces that he and his wife are expecting their first child, due this summer. He plans to stay home for a few weeks before starting his PGA tour in late January. As some of you know, today is my 31st birthday. I’ll spend it quietly with family and friends, but Elin and I have more exciting news to share: We are expecting our first child together this summer. He didn’t act like he was going to get married. He was very relaxed, like this was any other day for him.